Based on the number of tickets sold per month. Pros: There are a lot of pros to it. It is very user friendly and easy to understand and put events together. Kinda repeating what I put on the first page: "when we first started, we had a lot of questions figuring it all out, but reaching customer support was super simple. When I contacted I got a response within 24 hours. The customer representative is usually the main person I deal with and she is amazing. She always is super friendly and very knowledgable for every problem we have. She always knows exactly where to direct me and how to answer it, so I would highly recommend to anyone." I wish there was an easier way to do "at the door stuff." I don't think I have researched it enough to know enough about it, but we would love to figure out a better way to run that more. Also: We have had some issues with the "visibility feature." Sometimes if we had the visibility available until midnight one night, we had clients and then tried ourselves and it was already closed at 10pm so I am not sure if it was a time difference issue but there is always a slight glitch with that. Then with the visibility feature. We would put the ticket link with our recital information but the visibility isn't open yet so they would get a blank page that says this is no longer working and then our clients would be confused. I am not sure if it would be possible but it would be nice if there could be a page that said this event isn't open yet or something that is a little more clear to them so they aren't so confused about that. Overall: ThunderTix is fabulous! It is very easy to use and to put an event together. When we first started, we had a lot of questions figuring it all out, but reaching customer support was super simple. When I contacted I got a response within 24 hours. The customer representative is usually the main person I deal with and she is amazing. She always is super friendly and very knowledgeable about every problem we have. She always knows exactly where to direct me and how to answer it, so I would highly recommend to anyone. Recommendations to other buyers: One other thing I had a question about is that sometimes there are some parents that say they don't receive their tickets by email. I am not sure if there is a reason behind that or if it is just by chance it got lost or went to spam. I am not sure, but just wanted to throw that in there too. Pros: #1 - No added/rising fees to our patrons! Overall: When we selected ThunderTix they were the only online ticket service that we could find that did not charge a 'per ticket service fee' to our customers. That model was vital to our selection as we do not believe online ticketing should be cost a premium over walk-ups. We knew that ticket fees never come down at other online ticketing providers, with some now charging over 50% of the ticket face value as an additional fee (ex. $15/ticket + $8.15 service fee). ThunderTix remains an ever-improving system that we continue to believe is the right model for online ticketing. Our patrons want the cost of ticketing to be part of our theatre operation cost. We would love to see the company add CRM and e-mail marketing modules to the back-end to allow management of more than just our ticketing. Patron/donor/volunteer mgmt tools would be a plus for this product in the future to compete with other new CRM/ticketing solutions that are still adopting the per-ticket-service-fee model. A lot has changed since 2011 -- In February 2014, ThunderTix rolled out a full CRM for patron management. It includes complete patron purchase history, donations management, robust filtering to report on multiple levels of customer data. All error messages that a patron might see during the purchase process have been modified, all order data saved on a declined transaction, and all fields with problems highlighted in red to make it very clear to the ticket buyer what needs to be completed and/or corrected. We moved over to the cloud in April of 2012 and since then have more than quadrupled speeds for page load time. ThunderTix is now in the 97th percentile of web-based software applications in terms of speed. This week, ThunderTix is going to be rolling out a direct email marketing tool that connects with MailChimp. Mailing lists are automatically updated with new subscribers direct from ThunderTix and emails to various lists can be directly emailed from within the ThunderTix login. Pros: To begin with, this was the first time our organization has attempted to sell tickets online. Our experience with ThunderTix was almost exclusively positive. 1) They are exceptionally easy to work with and provide outstanding customer service. I honestly can't say enough about this. Our questions and comments were many times responded to within minutes. Stacy and Dawn are both extraordinary problem solvers and are very pleasant to work with. 2) The system just works. While we had a few minor hiccups (see cons), the ThunderTix staff were able to resolve them very promptly. 3) They are constantly adding new features. Over just the few months (January to April) we worked with them last year, they may have doubled the number of features / options within the system. This indicated to us that they genuinely care about their product and aim to constantly improve it. 4) One time fee. This was crucial for us as any percentage of ticket sales adds up quickly. Cons: While there isn't much I can say in the way of cons, I will list the one minor annoyance we had (has been resolved though) when using the system. 1) The manor in which ThunderTix integrated with out payment processor (Authorize.net) resulted in an occasional double charge (very rare) and some error messages which were difficult for our customers to interpret. As I mentioned above, I have been told these problems have been corrected. I only list them here in the interest of completeness of this review. We fully intend on using ThunderTix in 2012 and I will update this review if possible. Overall: ThunderTix is the absolutely the best online ticketing system I have found to date. There were a number of companies which pitched their products and we tried a number of them. Ultimately none of the competing products were as simple to use or as well suited to our needs. I can honestly say that ThunderTix made a lifelong client in our organization, due in no small part to the communication skills of both Stacy and Dawn. Did I mention the one time fee for festivals?? If we looked at nothing else, ThunderTix wins our business hands down. If you are considering online ticketing or are looking to switch from another company, I can assure you that you will not be disappointed with ThunderTix! Pros: Ease of use. Easy to get new employees trained. 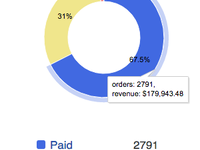 Powerful reports for marketing and order tracking. Allows you to put all your inventory online and have just one platform for box office walk-up, phone and online bookings. Seamless. The online question and answer section is excellent. Overall: We've been using Thundertix since 2011 for my busy sailing tour and charter business. Before we chose Thundertix, we thoroughly evaluated at least five other online reservation/booking software systems and found that Thundertix's combination of features, simple user interface , powerful back end for reports and pricing could not be beat. We are often approached by other competitors and have sometimes looked at other systems to see if we're missing anything and Thundertix combination of features and pricing (no ticket fees) wins hands down every time. The fact that you have total control over any fees (or not) charged to your customers is very appealing. When on occasion, we've had a suggestion for an improvement, we've often seen it implemented. If you have an issue you can get someone to respond quickly. They're all excellent. Thundertix is really top-notch. Recommendations to other buyers: I suggest you try it out. They can give you a demo, or set you can sign up for a short period. Comments: I have a small business where I have to sell tickets online to reach my out of town customers. And being small, I need every dollar I can get to keep my tours going. I have been using other 3rd party ticketing sites, and I loose a lot of my profit to pay these big sites their 3+ percent fee for every ticket I sell. My tickets sell for $150+, loosing 3-4% of every tickets adds up quick and I got sick of it, searching for alternative. Then I found ThunderTix!! Hands down, ThunderTix beats all of those ticketing sites. I pay a annual flat rate fee, therefor I know exactly what my cost will be for ticketing. And when you break down the ThunderTix cost per ticket, we're talking pocket change per ticket! That means, I'm actually making money off of my tickets again! But wait, there's more! I have full control of my ticketing options. I can upload my own logo design to every event. 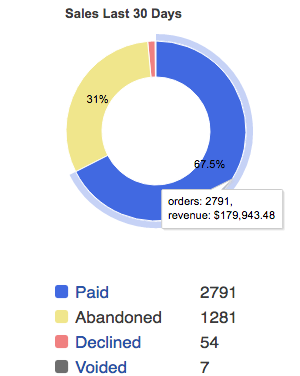 I can make my own color scheme for my invoices, that ThunderTix automatically sends to customers after a sale. I can add my own graphics on the "Print At Home" tickets that ThunderTix automatically attaches to the invoices. I can manually sell tickets on the phone if a customer calls me. The "I can's" can go on and on, you'll just need to sign up to see what I mean. ThunderTix has a great shopping cart with a built in credit card transaction portal. No more adding ugly PAY HERE buttons on my website, I just enter my credit card company's info into the site and boom, I'm taking cards!! Everything on ThunderTix looks very professional to the consumer and is less hassle than those other sites. And customer service is A+++!! My only con, is the coupon option. I only sell a limited number of tickets, so I am on the Starter Plan and I cannot offer coupon codes. Everyone likes to offer coupons codes to their customers, it would be nice to see the coupon option available for the Starter Plan subscribers as well. Thank you ThunderTix for a great product and service! Great news Rian! We've now made coupons available to ALL levels -- even the Starter Plan you signed up for. We agreed with you that it should be made available to everyone, so we changed the Plans recently to reflect your request. Click on the Coupons tab in your account today to start taking advantage of all the various discounts and promo codes you can now offer. And, don't forget to peek at the How-To Video Tutorial on creating coupons for guidance. Please know when I say we had no experience, I mean we had none. Two of my friends who are either present/past treasurers of org. are also my treasurers. They input all the sponsorships, donations, ticket purchases, golf registrations, tshirt sales, etc. into thundertix. We were very hesitant at first, but with multiple calls to Pam initially and very frequently later, we are smooth sailing.She only showed concern and kindness when we called. This is so needed in our world today. I would recommend this to anyone who is selling tickets to an event. The availability to contact your donors is at your fingertips. We decided to email tickets to customers 2 weeks before our event. We send an email right away, to let them know we have received their sponsorship, thank them for it and let them know when to expect their tickets. It makes it so easy for everyone. The supporters and in our case, our volunteers. I spent many hours looking at different options and I know we made the right choice. The customer service from Pam is more than it's weight in gold. I am not kidding, she could help with every issue. This is only our 3rd year to use the software, in this time period, there have been several "upgrades". One other thing that made it really nice for us, especially as beginners, is the compatibility between thundertix and our credit card payment system. They worked it out behind the scenes where any credit card information is not on my website. When a customer hits the sponsorship or donate tab, they are immediately taken to another website where this information is taken on a much more encrypted safe site than mine. In 2 years we have given back $265,000.00 to our community. There has been a lot of information submitted in Thundertix. Overall: We selected Thundertix because they did not charge us on the basis of a per ticket fee. Our customers hated paying add on fees, and Thundertix was the only company that we found that did not charge that way. The produce is easy to use, but most importantly enhancements and changes are made based on client suggestions. They have a forum that you can use to make a suggestion, and vote on other suggestions. We have been using it for five years and have been happy with the enhancements that they have developed. Any problems are dealt with very quickly by the support team. As always, keep sharing your ideas to help us improve! I really enjoy working with Thundertix. It is a very user-friendly program. Pros: The ease of use of creating events and how easy it is to apply the program to our website. I also enjoy the incredibly fast response from their customer service. There is also a Request a Feature page and you can ad your request or problem to it and vote for others that have already been submitted. The Thundertix team works on the requests in order of votes or sometimes fixes a glitch right away. The newest feature I got really excited about is the shopping cart, which gives patrons the option to purchase several events in one transaction. Cons: That I can't get into an attempted order by a customer who made a mistake (in real time). I have to wait until the remaining checkout time has passed instead of being able to cancel the transaction for them and to start over. Pros: We love the price partnered with all the incredible features. Also, Thundertix is ALWAYS working to improve and is ALWAYS adding new and exciting features based on their customers requests. Their customer service is also amazing! Cons: I wish that there was more of a variety of email softwares that ThunderTix software could automatically import to. Overall: We are able to offer fair ticket mark-up costs to our customers compared to other ticketing platforms which charge way to much for their services. First, thank you for the great review. I hope we continue to exceed your expectations. We are eager to improve our integrations. Were you aware that you can add your ideas as a feature request? We create many fantastic features as a direct result of those requests, so please take a moment to add your idea and the specific integration you'd like. Pros: This program has been easy to use since day one. Now we are beginning year four, and they introduce new features every year! It is easy to set up events and manage the behind the scenes of the software, and even easier to use it to sell tickets on location at our events, and it's the easiest to purchase them as a customer! Its a win for everyone! Reports are easy to run and are complete and customizable as to what information is included on them. And one of my favorite newer features is a daily email with total sales. Cons: I really like it all! Possibly entering coupon codes had a bit of a learning curve to it, but I have it down now and it works like a charm. Overall: ThunderTix has been the best decision we could have made! It is all easy to use, and the Support Team is quick to respond and meet your needs. They also are always taking suggestions from their customers about new features to introduce! (They even credit the customer when they do!) And the pricing is perfect for those of us who do not sell tickets year-round. You move to maintenance months/pricing until you are ready to sell again. I have been the sole contact person for our company since day one, and have never had a anything but positive experiences with ThunderTix! ThunderTix continually provides outstanding service! Comments: I was lucky enough to have found ThunderTix when I worked for The Cider Mill Playhouse in Endicott, New York, almost ten years ago. Stacy Chapman helped me learn the system and how to easily customize it for our oddly shaped (half circle thrust) theater. Our older, not-so-computer-savvy customers found it to be extremely user friendly and it really streamlined the box office experience too! Two years ago I became the Marketing Director for the Chenango Arts Council in Norwich, New York, whose ticketing system was really in need of updating. I suggested we look into ThunderTix, recalling the positive experience I had in the past. Stacy Chapman was still with the company and had gotten a well deserved promotion, but she remembered me from the Cider Mill! And I remembered her of course, because she was so helpful and proactive. The ThunderTix system proved to be exactly what we needed. Stacy once again held my hand through the set-up process, even though it wasn't really her job anymore. Pam Mason has also been extremely helpful, and our audience feedback reveals their experience just gets more and more enjoyable. What prompts me to write this is the almost uncanny ability ThunderTix has in predicting what I'm going to need next. The old seat blocking function allowed me to block our season subscribers' favorite seats so we could go online to the general public for ticket sales earlier than usual, which was great! But I faced the laborious old unblocking system which I knew would be time consuming. Lo and behold on September 1st, I can unblock seats with just a click!!! So happy! How did ThunderTix know? Just another example of listening to their clients and being proactively thinking ahead! I will always highly recommend ThunderTix to anyone looking for a straightforward, user-friendly, customer friendly, intuitive ticketing system, and I truly appreciate all the time and effort Stacy, Pam, and all the staff and programmers obviously put into their jobs. Well done, and THANK YOU! Approachable company that listens to its clients, and has implemented great new features. Pros: AFFORDABLE!!!!! Easy to implement, easy to train, easy to use, easy to maintain, easy to understand subscription models. Flexible as to gateway providers. We are a small not-for-profit community theatre group, entirely volunteer run. Our margins are very tight. We are grateful for your ticketing software that allows us to spread our reach to the internet. We now often sell out shows BEFORE the open. Cons: There is often too much info on the FAQ & Community sites. I dont have the time to wade through it all looking for my quick question. Really LOVE your responsive support folks who will take the time to answer my questions, even if the answer is already out there. Great product for our ticketing needs! Pros: We really like that is is user friendly for the customer, our reps and our users. The support is beyond excellent anytime a question or concern pops up. We get prompt and helpful answers. Cons: The issue we run into sometimes is when there is an update, there can be an unforeseen effect on other areas of the software that will need a fix. Overall: Thundertix has provided us with the tools we need to make purchasing tickets to our events all over the country as user friendly as possible. The added benefits like automated email reminders, product sales, waitlists and email marketing options have all had a positive impact on our customers and our sales. Pros: The interface is very customer friendly, is graphical, and easy to set up. Customer Service is quick, personable and very helpful. THUNDERTIX doesn't stand on its laurels, and each year a new addition, refinement, and addition to make our lives easier. As a 501C3 Organization with one event that funds our entire year's budget, we simply cannot have a problem. THUNDERTIX COMES THROUGH FOR US, YEAR AFTER YEAR. Cons: Initial set up fee to integrate our theater venue into the software was a bit expensive, but amortized over a period of years, it's been a worthwhile investment. Over the years, we have been able to streamline our processes around account creation. Today, organizations that run general admission events are able to get started with no setup fees! For reserved seating, we have a nominal one-time setup fee just to cover the time it takes to build the venue seating diagram and seats. Awesome software, exceptional customer service, great price - The complete Package! Pros: Since joining our organization several years ago, my first priority was to implement an automated ticketing system. I tested several vendors. We wanted to control what our patrons paid (if anything) to purchase tickets. So many vendor's pass on these high costs to the patrons to pay for the service. But Thundertix allows us to set the costs we might choose to pass on to our patrons. Not to mention that the cost of implementation was very reasonable and almost painless. They worked with us to customize and integrate their site to maintain the same look and feel of ours. Most of our patrons have no idea they're even on a third party site when buying tickets. Now they're taking things to the next level and integrating even more tools into their system that people use every day (i.e. Facebook, Twitter, Yelp, YouTube and MySpace). They're always working to enhance their system. Their response to issues is like lightening. So the thunderbolt logo is very appropriate. Cons: I honestly cannot think of any cons. And that is something you don't hear every day. Overall: I along with the rest of our board would highly recommend Thundertix to any organization looking for a simple, easy to use ticketing site that allows you to take control and save your patrons money and save yourself time. They are always improving their site and introduce new features, many of which come at no addtional cost, for their customers. They are extremely responsive to any questions, concerns or any unlikely problems you might encounter. They really are the best. Pros: The reporting features are a must have for us, especially for the ticket-holder list the day-of an event. We also utilize the plugins like Constant Contact which helps reduce time spent entering emails of attendees on the back-end before sending out a mass email. The ease of editing an event is also appreciated. Cons: It takes quite awhile to populate/generate a report when you want to export sometimes. Overall: Southern Arizona Arts & Cultural Alliance switched to ThunderTix for all ticket sales several years ago and its improved our ability to manage all facets of ticking for our events. As a non-profit, the bottom-line is also always a consideration and we find that ThunderTix is the most affordable ticketing service that gives the most bang-for-your-buck on the market. Support is primarily available through email or forums. It's difficult to speak to a person. Pros: It integrates nicely with credit card payments and was easy to set up on that front. It was VERY easy to scan tickets with the app as well. Cons: It's not as intuitive. Finding out where to click to sell tickets, to design tickets, how to make them look the way we needed them to look...it actually required note-taking that I could refer to because things weren't in the obvious places to look. But once that was learned, it became easy to make the software do what we needed. I feel like part of it might actually be the web design as opposed to the software...for example, there are two rows of tabs. The top row is supposed to be related to your account, and the second row to your specific event. It doesn't SAY that anywhere, and I think there are exceptions, but we had to figure it out. (Notice that I'm still not sure about that, and I've been the one primarily working on the event.) I feel like someone on the phone would have figured that out right away and told us and saved us a couple of hours of clicking, but finding a phone number is next to impossible. Email is responsive, though, so it's not like they leave you completely in the dark. It's just not convenient. Overall: I'm not sure that we did. I do know that I'd want to try it again now that we understand it more and see if we can make it fit our needs in other areas. After that, I'll decide if I'd be willing to recommend it. Thundertix is the way to go when using choosing a ticketing system! Pros: I like how I can manage our shows so easily. Thundertix is continually adding new features that give us new capabilities in reporting, the way we view our shows and the way we manage our shows as a whole. Cons: There isn't anything I would change at this point. Overall: We have been using Thundertix for our ticketing system for years now and I could not be more pleased with their service, prices and willingness to help us in any area that is needed. 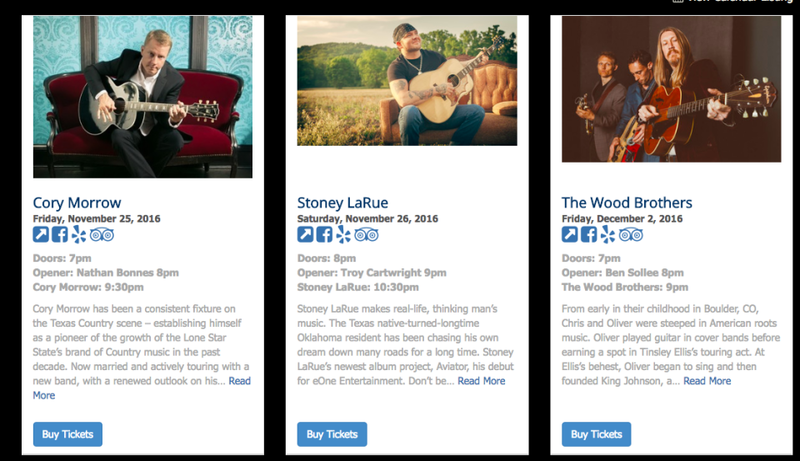 I work in the Corporate Office in Gruene and we use Thundertix for our ticketing system for Gruene Hall. As you can imagine Thundertix plays a vital role in our day to day tickets sales and we rest assured knowing they are always making sure everything is up and running and that if there is a problem that they are working to fix it as quick as possible. I 100% recommend Thundertix to all businesses in this line of work. You will not be disappointed! Pros: The ease of use is amazing. It makes it so anyone can us the site, even if you do not know computers! 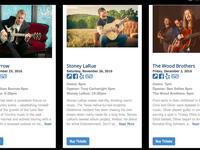 Seeing ticket sales and recording and keeping track of them is not a hassle with your site! Cons: The one thing I like least about the software is that it limits search results for sales to 365 days only. Overall: Ease of knowing my event is listed and available to everyone and so easy to use by us and our customers! Pros: My girlfriend and I go out frequently as we are located in an urban city and so using ThunderTix makes dealing with the whole ticket-ordeal so much easier than it needs to be. Everything is centrally located making it fast and easy. Cons: Some of the features are a bit useless (TO US) and so it'd be nice to have a dynamic pricing plan; we don't use the gift card selling feature nor the event/reports feature. As I'm sure you know, our pricing (as low as 29 cents per ticket) is the lowest in the industry -- bar none, but if it isn't delivering the value you'd expected, then I'd love to learn how we can improve. The gift card feature had an extensive amount of engineering around it to make it completely automated. We deliver eGift cards and track balances and redemptions. You can even automatically reward frequent customers with gift cards through our loyalty program. This is a completely optional program carrying a very modest charge of 1.2% of each gift card sold. We feel the revenue generated (25% of gift cards are not redeemed) plus the additional demand can be a factor in higher profits. Feel free to write me personally, and let's discuss ideas. Pros: Thundertix is easy to use, with great support only a phone call away if you need it. The software is continually improved based on the needs of clients. Cons: Nothing to dislike! We have had zero complaints from our customers. Overall: Thundertix has been very positive for our venue, our customers love the convenience and ease of use. I recommend them constantly to others in our industry. Pros: Simple to use! Updates are based on user input, and happen frequently. Customer service is personal, and responsive. Cost is great! Cons: Very little not to like about Thundertix. Years ago there were several limitations, but as of now (April 2018) there is nothing we have on our wish list. Overall: Easy to manager dinner theater software! Pros: Thundertix Is very customizable. My organization uses it for collecting payments for event tickets, intensives/workshops, and classes in our semesters. You can get the breakdown of each event easily and quickly which saves you times and shows you where to continue investing your time and products in. The interface is easy for clients to navigate and simple for staff members to learn how to utilize. Cons: Functionality wise there are minor bumps in the road, but the support team is great with taking feedback, finding you an immediate solution, and taking your criticism into consideration for future updates. Overall: Overall I've had a wonderful experience with Thundertix. If I were running my own business this would be the first program I'd have in mind to utilize. The support/service team is excellent and I hope to maintain a good relationship with them. Overall, the ticket purchase process is user-friendly. Setting up an event was easy to figure out. Pros: What we liked most about the software was to be able to modify some of the features such as the fee, comp codes, reserved seating and block seating. It is easy to set up as event and make corrections. Research features such as Orders, Customers and Guest List in alphabetical order helped a lot when we are selling box office tickets and guests have inquiries about their ticket or modes of payment. Ticket Sales Exchange - If the customer requests to change tickets to another day, and split the reservation to different sections, we had to do multiple transactions. If the exchange was on 3 sections of the auditorium, we have to work on 3 separate transaction. May be best to process an exchange at one time - click on exchange, choose multiple sections all at one time. Sections - You can only click on one section to view what has been sold. It takes time to check each section, view, then . Being able to view all the sections at one time and see what is available or not makes the purchase more efficient. Sales & Settlement Report - We found it confusing. The "Payment Breakdown" section had some errors. For example, the credit card AMEX shows an amount when AMEX has blocked by our gateway. Overall: Our costumers are happy to reserve their own seats. Almost a biased fanboi.... But it's that good. Pros: Simple to use. Simple to integrate with. Simple to get support. Simple to get feature requests evaluated and even implemented. We switched from a significantly more expensive platform. The conversion was trivial. We were up and running in days. User interface is orders of magnitude better than other products in the space. Developers are sharp and do clean work. I'm a fan. I speak so enthusiastically about the product, I'd frankly distrust me as a family member or owner. Granted when reps of the company came through town or a wedding , they took mmy wife and I to lunch... so that's full disclosure. They are just that doggone good. I need 100 characters here to justify posting it, but the only problems I've had, there were user forum suggestions to manage, or they addressed them and they are fixed, now. Overall: Ease of use. Budget friendly... and expandable. I have been using ThunderTix for event for just under a year. Pros: The price point is great for the service we receive. I like that there is a flat fee and that it does not charge per ticket like most services because some of our tickets are on top of that this is a 25% increase! The scanning feature has been really helpful. Also, I have had all my questions answered quickly when I take the time to ask for help. Cons: I do not find it easy to use or intuitive. I struggle to navigate the interface every time I get on it. On the scanning tickets end it is easy to use but on the management end it is not easy. Perhaps it will become easier as I use it more. But so far, I am frustrated with it in that way. Also, I do not see easy ways for the system to track the demographics of my customers or features along demographical lines. I wish there was more of this type of feature. Overall: We use it to sell tickets for all our big major events. It helps us sell tickets and scan people as they arrive when we are expecting 4,000 people! That was my first ticket software experience and it was fairly easy to manage. Great support. Pros: I chose it because of its great layout and number of settings offered for a great price. It is easy to use and generate data report. All patrons were able to use it without problems. Easy to implement it on our website. I received awesome support by chat, email and phone when I had a question and was not able to find the answer online. Cons: The scanning system of the tickets with phone or tablet did not work AT ALL for us. I had to enter all tickets manually, about 75 per night. Not a big deal because not a lot of tickets, but still anoying, because people printed their tickets, but finally I was just recycling them after checking their names in the guest list. Overall: Easy and affordable online ticket system (not a lot of choices in our small town). Happy patrons. Other companies requested the name of the product to use it. More independant than using a third party to sell my tickets. We would be very interested in learning which app you downloaded for your phones and tablets. Was it the iOS App or the Android App? Had you tested the scanning with a test ticket prior to the event? Do you remember what happened when you attempted to scan? Did it scan but say the tickets were invalid? Did your device have problems scanning the actual barcode? We work very hard to ensure our apps always work, and we haven't received feedback from any other clients indicating a problem. The more we understand what occurred, the more we can help mitigate against problems in the future. ThunderTix is easy to use and provides many different options. Pros: The thing I like most about Thunder Tix is the easy ticket sales for our events that it offers. Back in the day we took phone orders and had to mail out printed tickets. With Thunder Tix the customer orders their own tickets AND is able to prin them right out. And they can even show the ticket on their phone and we just scan it that way. The ease of use to our ticket helpers is also a benefit. We can view a variety of reports and can search within our order by a variety of different options. Cons: There is not too much that I do not like about Thunder Tix. At this time I cannot think of any suggestions for upgrades. ThunderTix is hands down the best online Ticketing software I have ever used!!! 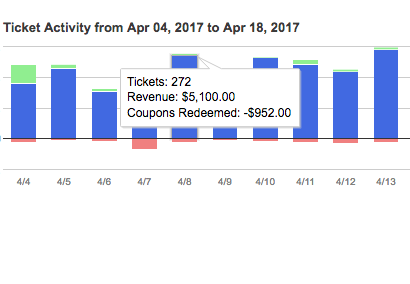 Comments: I use ThunderTix as my online ticketing system for my annual events that do ~5,000+ in online transactions per event. I combine the online system with an Authorize.net gateway payment system. I have used 3 different online ticketing platforms in the past and NOTHING compares to the benefits of ThunderTix. You set it up and maintain it yourself, no waiting for your IT folks to do it for you (nor having to pay for their time), which also means you can change things on the fly as you need to, it integrates easily with Authorize.net (or other payment systems) and you get your money from sales in 1 day, and you just cannot beat their pricing!! And did I mention the excellent customer service? Not only is their online forum very helpful, but when I was in really dire need of real live help, I just emailed them and usually had an answer within a couple hours. All the way around, this software and this company are the BEST and I am so happy to have found them! Will be using this software from here on out! Pros: We moved to Thundertix as a way to control our costs in June 2011. Since then, it has been an important key to our business. It streamlined the customer buying experience, it was easy to set up new agents so that we could, in effect, expand office hours, the reports are informative and easy to customize, and customer service has been excellent. The flat monthly rate model works very well for us. Cons: Need some additional fields in the exported reports so that I can get a better feel for who my customers are, where they come from, how many order online as opposed to over the phone, how much I collect in fees, that sort of thing. Overall: I highly recommend Thundertix. It's been bullet-proof and we've never received a customer report of downtime. Allowing us to manage costs is crucial for us. We've had experience with Tix, which was also a solid system, but Thundertix is more flexible and saves us money. Within 30 days of receiving your suggestions for reporting, we added the ability to search orders by sales agent, Facebook or at-home buyers. In addition, we included your ideas to create a more detailed report of the orders export file so that you could easily discern the day and time of sale. More recently, we've expanded the Orders Search feature to include the ability to search by the time of day. Thunder Tickets serves our needs extremely well and I would recommend their service. Pros: Ease of use and fast customer service and support. What else could you ask for? Any issues are addressed very quickly. Cons: I really do not have any issues with Thunder Tickets. Any issues that arose under my tenure have been addressed quickly. I am now conducting my second ticket campaign for a chorus with audiences of 300-700. Comments: I am a low volume user and not a professional so my learning curve may be slower than usual. Here are a few impressions that I have. 1. My contact, Pam Mason, is very prompt and helpful. 2. When things are in place there seems to be no calculation errors of any sort. 3. The reports have lots of valuable information and help us keep up with stats. 4. The "Forum" is very helpful. 5. The cost is very fair. 1. A graphics section to build auditorium maps with. 2. A whole auditorium view to see seat availability without changing screens. This would quicken "at the door" sales because customers could choose their seats more easily. 3. More clarity on using email notifications. If there is a cost involved it should show before one has to click the button and decide. 4. A way to run fake credit card test transactions without involving the gateway. This would make it easier to train staff. 5. I have not been able to "void" tickets which I should be able to do within 24 hours according to your information. 6. When emailed tickets fail to "send" there is no error message. 7. PC computers seem to have glitches in printing. My MacBook allows me to just hit "Print Tickets" but my PC seems to have to go back to where I can make the tickets appear as a PDF. 8. The "See All Dates" button needs to appear on many pages such as when one is looking at "Orders", "Customers", etc. Pros: It was extremely reliable -- we needed a precise ticket sales start time, as well as a new wait list feature. The system worked brilliantly. It was very easy to navigate and manage all details, including the ticket format, the guest lists, and more. We look forward to working with ThunderTix on future events as well. Thank you! Cons: I can't think of anything I liked least...We are in a unique situation in that our tickets sell out within minutes. The only concern was that the event showed up as sold out before it actually was sold out, because ticket purchasers had the tickets in their carts and there has to be a 10 minute hold time before releasing the tickets if they are not purchased. This is understandable. Overall: Great system and terrific support team! Pros: Easy to buy tickets and have them resent to you. Cons: It is difficult to navigate quickly when each walk-up transaction is different...some want to know there seats/print tickets, others want to buy, others are buying for a different show. You have to go back so many screens to start all over. I wish there was more drop-down menu functions to navigate in less clicks. I wish you could see a seating chart at any point in time via pop-up vs having to leave your transaction when customer asks a seating question. Overall: Easy to buy tickets but not easy to work the ticket counter for assigned seating shows. I'm sorry to hear that your experience is less than you expected. Let's see if we can turn that around! Did you know that at the conclusion of every order, there are "quick links" that allow you to repeat an order in a single click? Have you tried our Calendar interface available from the Event drop down menu? This is a very quick way of navigating different performances. Some of our busiest tours like to open event dates in a new window to keep the handy calendar ready to sell any performance quickly. I'm including my email address in this response, and I would welcome a conversation with you. The bonus of this system is the customer service that comes with it. Knowledgeable, accessible. Pros: 1. Easy for my customers to use. 2. Thundertix is always improving and upgrading the features to make it easier for me to use. They are organized to be very responsive to the customer's needs and feedback. 3. Cost effective. Cons: 1. I just wish I could do more detailed searches of the database. 2. I find the package feature hard to work with. Pros: The ease of using this program. Cons: There are a lot of features that I am not fully aware of so I might be missing out on thing that might help me grow my business. Overall: I have 2 events per year called the Stingrey Classic and Aloha Muscle. It is the largest bodybuilding, physique, figure and bikini contests in Hawaii which are both sanctioned by the NPC (National Physique Committee). Both events sell tickets online and ThunderTix helped tremendously by setting up my seating charts and allowing my customers to pick their seats and purchase with a credit card. I am not very tech savvy using computers and their system is user friendly for even a novice like me. The BEST thing about ThunderTix is their customer service! Again, I am not computer literate but whenever I need questions or concerns customer support are alway there to help. They understand their program like a CHAMP! I'm sure there is a lot of features and functionalities that I'm not aware of but, representative always give me suggestions to maximize and improve my business. I would definitely recommend ThunderTix! My experience is pretty positive. We use the product for theater event ticketing. Pros: I like the new streamlined version of creating an event. We have special events frequently and it's convenient and fast to get the event up and ready for purchase. Cons: If we need to edit or change something that has already been created it's problematic. It would be nice to have a way to tweak the details of an event even after it has been created. Overall: It allows us to offer on line purchasing of our events and classes in an accessible way. We can run reports and keep track of sales easily. thundertix functionality and support was appropriate for our needs. Pros: Fairly simple to use. Support was available and responsive. Love being able to sell specific seats. Cons: Even though our venue remained the same each year, our section prices changed and we had to pay full price to put those price changes into effect. We would be happy to revisit this with us when you reopen for your next event, and let's see if we can get you situated without additional cost. 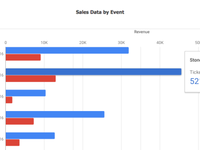 Cons: would like to see additional interfaces to other CRM software like SalesForce; could use more functionality in online reports rather than download the detail and then manipulate in a spreadsheet; while ThunderTix will generate a Eventful event, there is no ability to track any sales through Eventful on either side. Fabulous. If we had a question or problem, they were always there to help in a very positive way. Pros: It does most of what we need it to. It is quite straight forward. You are encouraged to suggest additions to the program that would make it even better. They are constantly working on the suggestions to add more options or improve the options that are there. Cons: It does have a few limitations if you have more than one venue. However, they are working on that weakness as well. Comments: We were able to set up thundertix in one day and have our entire season up and running, with ticket sales connected to our payment platform instantly. We were taking orders within 24 hours of signing up with Thundertix. The online tutorials are clear and easy to follow. Their customer support is lightening fast in responding. I email them at any hour, even on the weekends, and they return my email extremely fast. There are many ticket platforms out there, and we researched many of them, and tested some of the more popular options. All in all, thundertix has been well worth the cost. We have had ZERO downtime in selling our tickets. Once they are live, the thundertix platform has performed flawlessly. Also, the scanning app they provide is top notch. very fast and snappy. and the hardware they offer is another feature that we have enjoyed: pre-tested hardware integration with clear tutorials and immediate customer support. Just another example of how we have found the costs of the software well worth the benefits to our business. Couldn't be happier with our decision. Cons: costs more than some of the alternatives, but that's only relative to other alternatives that offer less. we have found the costs well worth it and have recouped all of the costs quickly given how stable the platform is and how easily it integrates into our sales channels. Pros: I like how the app is used easy to use in the sense of updating for both customers and business users, so there is a mutual communication on what we have to offer to them. Cons: But there is not a description box of the event when you press manage instead you have to go into all of the settings to find the description of any event. If there was a Bloxwich had all the information for customers to read before they purchased the tickets e.g. what would be included at an event? What time the event would start? What things to bring? Overall: My overall experience with undertakes has been amazing! It has helped me sell tickets quickly and also engage with customers in being able to help their enquiries and their problems as we go through the information they have provided together over the phone or in person. Pros: I never trust "new user" reviews because they can be biased by excited new buyer syndrome. But.... This product impressed me. Event setup is simple and intuitive. Reports are clear and easy to read. Database import was easy (they imported it for us but required only one edit from my original data). Integration with payment gateway and email service was trivial. Web interface is modern and clean. Coupons, donations, products are all effortless to create. Cons: Some pages need refreshing after edits, a glitch I am willing to bet is fixed before you read this. Experienced very slight occasional server lag during event definitions, but could easily be internet . Not a problem when purchasing when used as box office terminal. Overall: Inexpensive event ticketing is no small benefit. Simple interface allows less trained volunteers to make use of it to help run events. Thanks for your great review! We are always making improvements to our speed and enhancing the user experience. As you probably know, feature requests are very important to improving the experience and if you have specific requests, please take a moment to submit your ideas through your account portal. Easy Interface. Easy to Setup. Reliable & A+ Professional Customer Service. Comments: I enjoyed the overall experience. What was great about ThunderTix was a combination of two things, dependability and customer service. Whenever I had a question they answered it either by phone or email in a timely manner. They were also very thorough as to what you cannot and could do. With much creativity and flexibility there isn't really much you cannot do with their ticketing system. Cons: I am not really sure. They seem to even be concerned about quickly changing their system to benefit you from their open customer support page. You can see what the customers complained about, and even how they solved it. It was freaking incredibly risky, but also awesome to see how they fixed it. So if there are issues which I did not experience, they probably won't last too long. This software has made life much simpler for me as Treasurer of a community theater. Pros: I really appreciate how flexible this software is. Since we are a black box theater space, our seating number can vary from show to show. It is simple to change the number of seats available. I also appreciate the ease of creating cast and crew comp ticket codes. Cons: Some of the reporting does not seem terribly intuitive to me, so I often end up running reports that I don't really need. ThunderTix makes my job as a tour guide a lot easier, on the administration side of things. Pros: I can quickly see my entire season at a glance and quickly check in my guests as they arrive. It has been a great step in moving towards a paperless ticketing system. Cons: Our only issue has been when we are trying to check guests in on two devices, we have to stop to refresh to sync the list. Overall: It makes ticketing easy and checking in guests on a device gives us a more professional appearance. Customer service at it's finest. Pros: ThunderTix has been a long time partner with us. They are extremely responsive to our requests and are always looking for ways to improve. They meet our needs and provide solutions to our ever evolving needs. Overall: I am not a day to day user of the software. I use it periodically to look at trends, sales, etc. From my perspective, I don't have any dislikes about the software. "Over the Top" Wonderful System! Comments: From the very first contact with ThunderTix over the phone, I knew I had found the right ticketing system for our choir. Every question was answered confidently. Details of the system were explained in very understandable laymen terms. Limitations of the ticketing system were offered honestly with explanations of how to overcome them. After deciding on ThunderTix, I was walked through the steps of set-up quickly and easily. The choir's performance ticket system was launched within a few short days! I have not had one issue with any sales to date. I also really appreciate the fact that ThunderTix understands nonprofit organizations and includes an option for donations. Love it! Pros: Everything! Please see above for specific pros. Cons: Just a suggestion, but it would be nice to be able to allow a group of attendees to purchase their own seats from a blocked area (sponsors/donors/VIP's). As an administrator, It is a really easy process to unblock and send tickets, but that would be a nice option to have. Pros: We switched to ThunderTix after becoming disappointed with a far more complicated, way less attractive & WAY more expensive ticketing system. 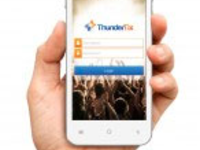 ThunderTix was integrated into our box office with ease. It is very reliable, and simple to teach to new employees. Customer service is outstanding. Any questions we've ever had have been answered immediately. Our rep is always available and quickly responsive. Cons: Coupon codes are limited- but rarely a problem. Overall: ThunderTix is basically perfect for any box office of any size. Its design and functionality are ideal for our very busy, very detailed office. You will not find an easier system to learn!! We revamped our coupon administration in the Fall of 2011, including a complete overview of coupon redemptions (when and how they were redeemed), coupons by a dollar amount or a percentage, and the ability to create bulk coupons from social coupon sites, such as GroupOn or Living Social. All these features were then wrapped in a new and easy to use interface. Online Ticketing made easy. Who knew? Overall: Starting up a new theater and our first foray into reserved seat ticketing, Thundertix made the transition almost painless. Everything was explained up front and no question went unanswered. Since our offices at the theater were not completed before opening night, the online capabilities of Thundertix enabled us to run the entire ticketing operation out of a hotel room. The customer service (Ms. Stacy Chapman in particular) is outstanding and you feel as if you have your own private troubleshooting squad. Per your request and the request of a few other venues, the ability to create a percentage based coupon was added earlier this year. 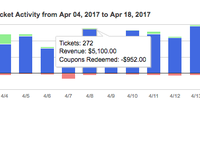 Now, venue admins can create coupons that discount the entire order by a percentage. Customers that enter a percentage coupon code will see the discount applied immediately on the screen prior to checking out.